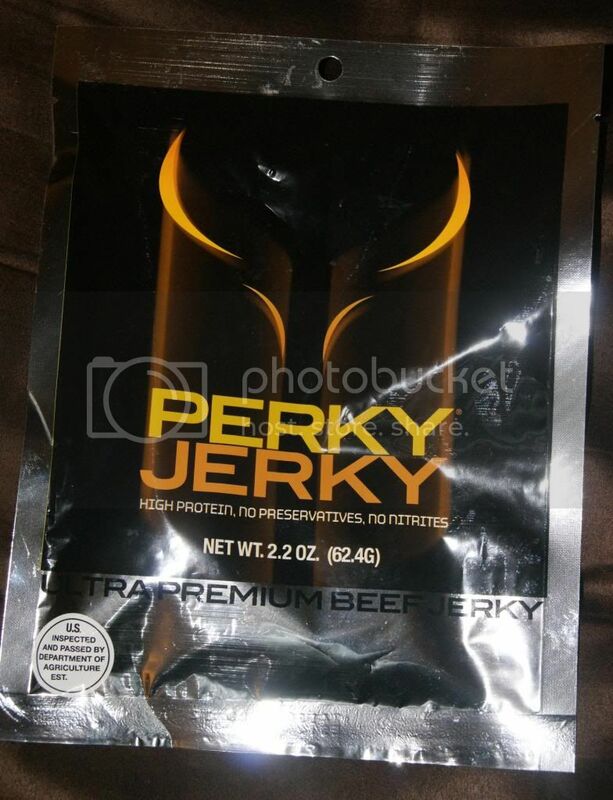 Andrea's World Reviews: Perky Jerky Review & GIVEAWAY!! Although I am doing pretty well with my weight loss, dieting is hard. The only bright side to dieting is knowing that it will come to an end eventually. But that is the reason that diets do not really work in the long run, and the reason that I have instead started a healthy lifestyle. While that is very good for taking and keeping weight off, it is not always so good for your taste bugs, your brain or your belly. Knowing that you have pretty much given up all the foods you love so much, not just temporarily, but for life is a pretty daunting thing, and it can lead to a mindset that could quite possible Sabotage your efforts. Combined with hunger, it can be the knockout punch that sends you right off the rails. Especially for me. I am a meat and potatoes kind of girl, always have been. Actually, not even so much potatoes, I am a meat and meat kind of girl, so eating lean and mean is very hard. Who really craves boiled boneless, skinless chicken breast? Not me, especially when my brain chimes in and tells me I HAVE to eat that. I just want to feel like I can eat the same as I always used to, while still losing or maintaining my weight. Is that really so much to ask? Not anymore, thanks to Perky Jerky. Not only is Perky Jerky lean, meaty and filling, but it is also energizing making it perfect for fueling workouts or just everyday adventures in mommyhood. Plus it comes in 2 incredible varieties that are unbelievably tasty. This Is like the ULTIMATE beef jerky. Not only is it much healthier(with only 90 calories and 2g fat per 1oz serving), but it is also so much more tender. I have bad teeth, but even if I didn't, most beef jerky is like trying to chew on a truck tire. It's insane. I am not sure how it is possible for jerky to be this tender, but I am certainly glad that Perky Jerky found the secret. The flavor is to die for. It is not a Teriyaki flavor, nor is it a simple cracked pepper although I feel there are elements of each. I love that it is different than the cookie cutter beef jerky flavors available. It is so unique and flavorful without being to spicy or too sweet. Perfection. Both flavors are fantastic, but I think since I am more of a beef lover, that this is my favorite, taste wise. This flavor is so delicious. I love that it is a step away form the go to jerky(beef) and yet is still seasoned basically the same way. Although Turkey Jerky is harder to find, it usually has flavors more "turkey-esque" Like lemon garlic and basil citrus. 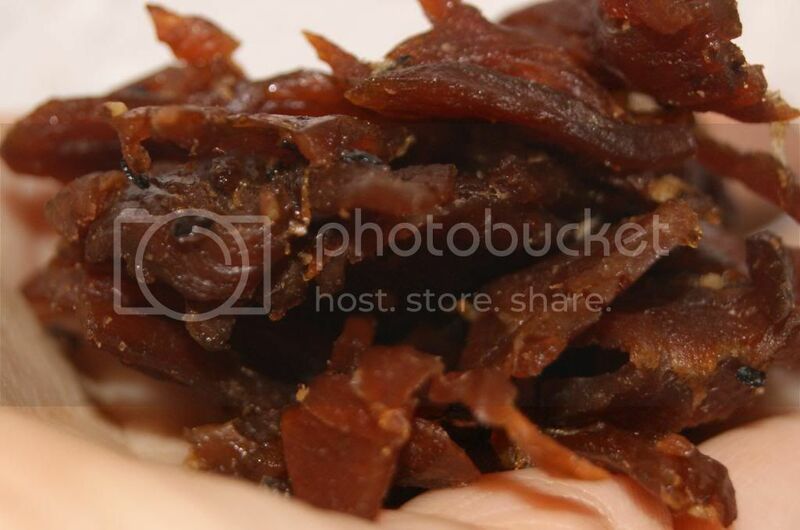 And while that is all good, sometimes want it to taste like jerky only with turkey not beef. This gives me exactly that. I love that this is even leaner than the beef variety. With only 50 calories and 0g fat per 1oz serving I can even eat the entire 2.2oz bag and not feel guilty, especially since my diet calls for Power Fuels(Proteins). There is not 110 calorie, Fat Free snack that could possibly fill you up and make you feel good as well as 2.2oz of Turkey Perky Jerky. This stuff is amazing. Bye-bye hunger, hello delicious protein. 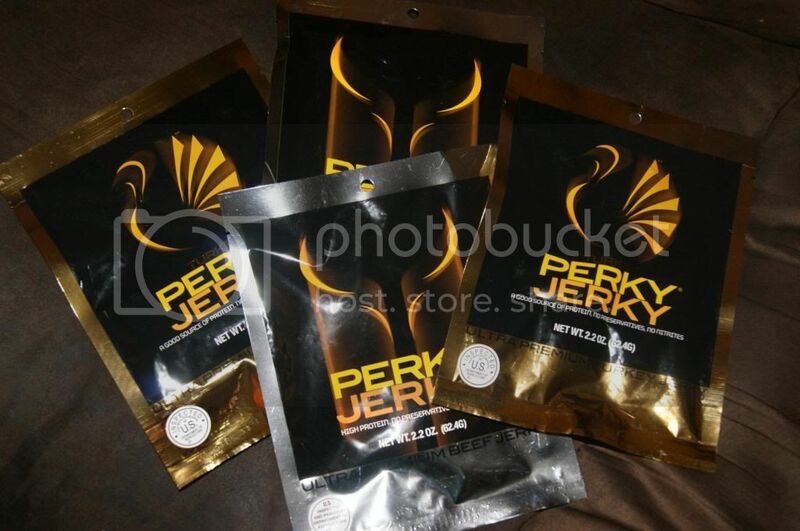 Perky Jerky is my secret weapon to battle off all the hunger and cravings that want to wreck my weight loss success. I will succeed, thanks to Perky Jerky. 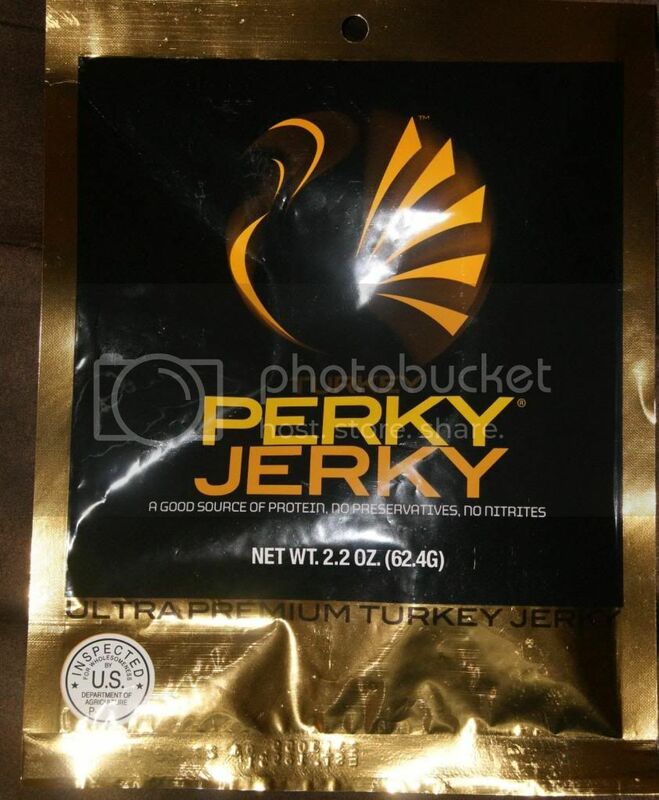 If you love meat, need protein, energy or just a guilt free super snack, then Perky Jerky is PERFECT for you. Try it! I know you will be in love at first bite. That is why Perky Jerky and I are giving away an incredible 1.0oz beef or turkey(winner's choice) caddy valued at $30! Enter below for your chance at this awesome prize. Good luck. I would like to try the Beef Jerky flavor. 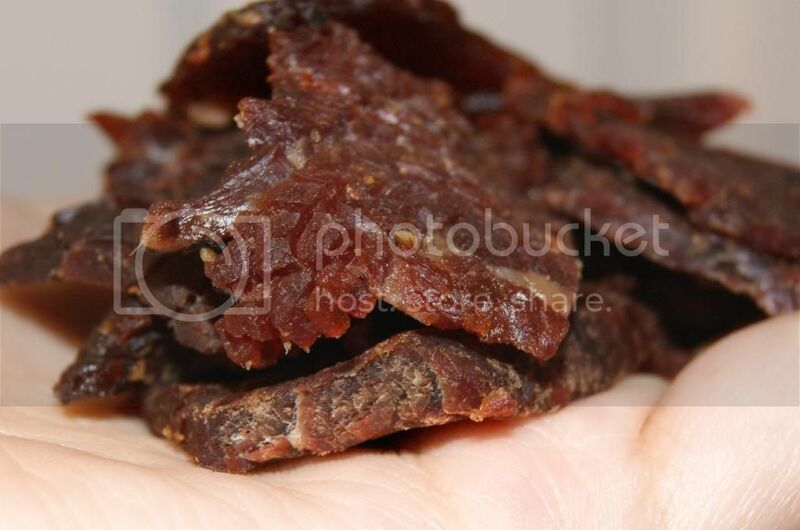 This jerky looks so delicious! Jerky that isn't like shoe leather--I gotta try this one! And yes, I am a carnivore from way back when!! I love jerky and would love to try any of the flavors. Yum! That jerky looks really tasty! I think the idea of perky jerky is a great one. I would probably like the beef most. Want to try them both! You are dieting? Seriously Girl You LOOK GREAT!!! Perky Jerky are truly yummy! I had tried their jerkys before. These would make those jerky lovers happy! I'd like to try the original beef flavor the most. I like the premium beef jerky. I love their product. The turkey sounds really good. I think I would like the beef flavor the most.